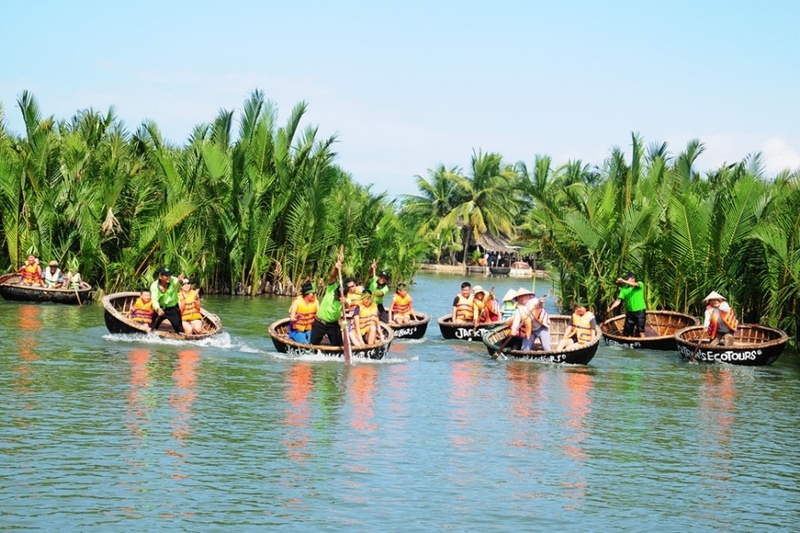 In the morning, we commence Tra Que Vegetable Village Tour and Cooking Class by a bicycle ride to 7 hectare water coconut jungle of Cam Thanh village. On the way, we stop en route and take pictures of water buffaloes; you can ride on him and he will take you in the water. 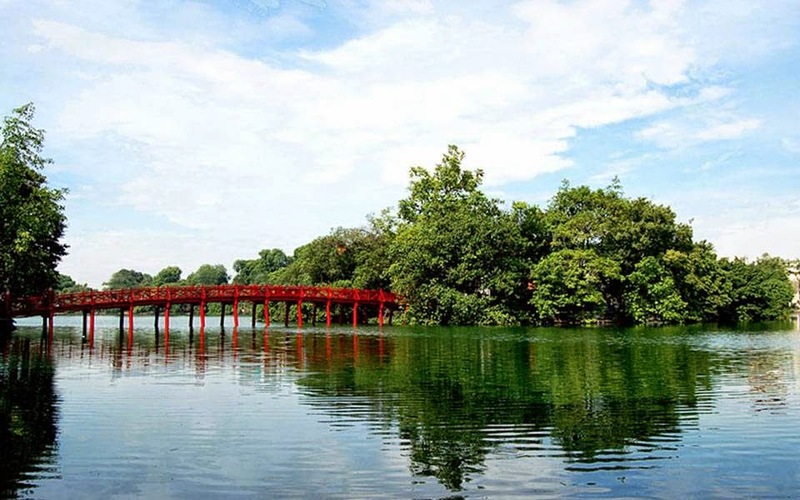 We can feel the rusticity of Vietnam’s countryside. After that, we keep riding through green paddy fields along with shrimp and fish farms, knowing rustic local life of Hoi An’s people. 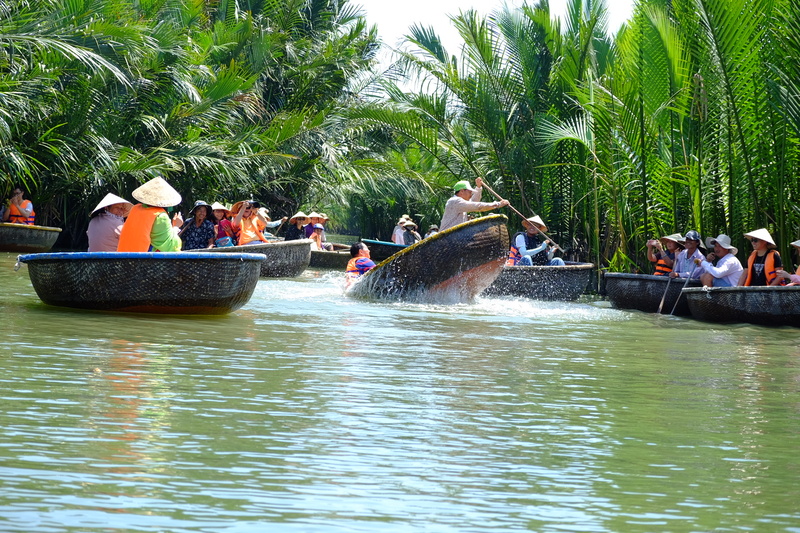 On reaching at Cam Thanh coconut jungle, we will rest in a while, watching sampans or tourist boats sailing along peaceful river of Hoi An. 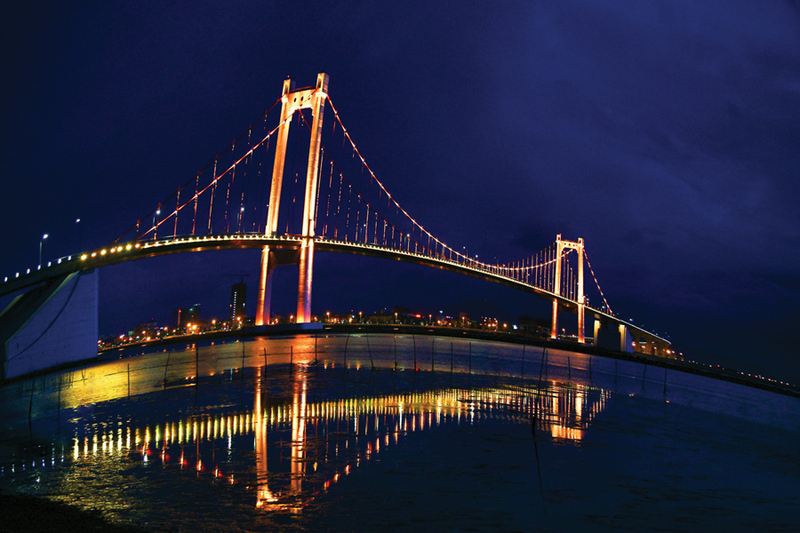 At this time, photo opportunities are endless. From a far, you can realize how green the area is! 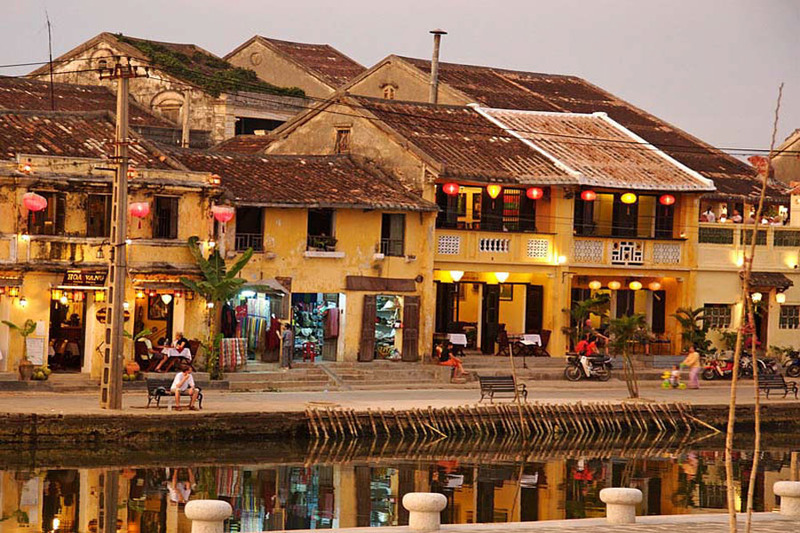 You are really hamornized in just a serene natural coconut setting, away from the hustle of Hoi An center. Then, the guide will briefly tell you the history of the village then you get on one of the basket boats to go inside the jungle. 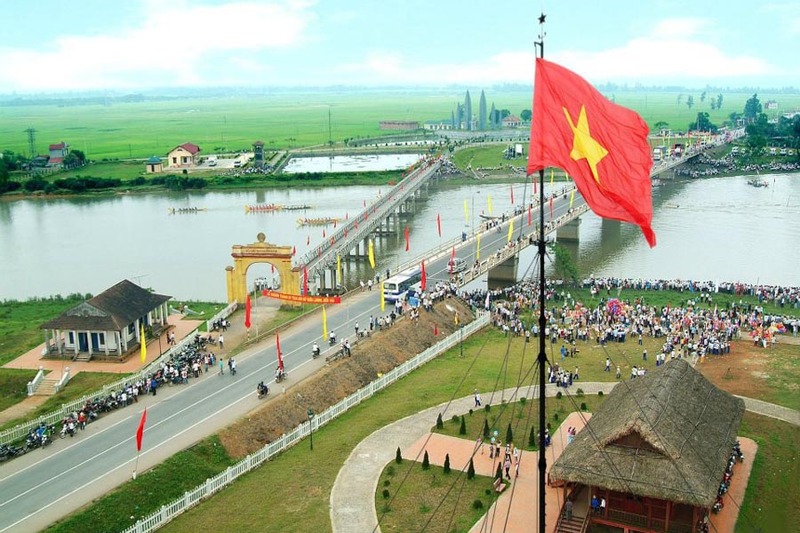 Next, the boat man will teach you how to paddle it and tell you the war when Viet Cong soldiers were hiding here. Next, he will make such lovely souvenirs from coconut leaves.Then you can catch little purple crabs for an enjoyable experience. 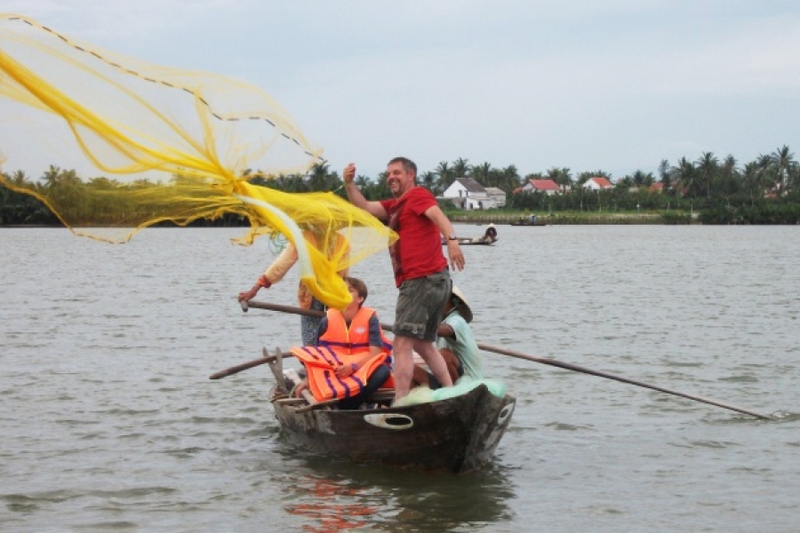 Surprisingly, you will watch a guy spinning his basket boat or a fisherman casts his net into the river. If possible, you can get on his boat and give it a try. 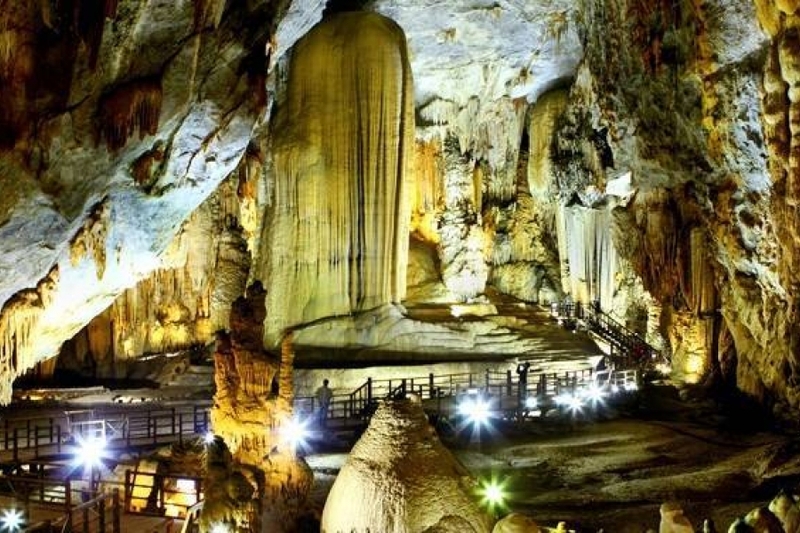 You will deepen yourself into local culture with the local people. To keep going on the tour, we then cycle to Tra Que Vegetable village. At arriving here, the host will provide you with tasty welcome drinks. Following that, we then wander off around the beautiful garden and know different kinds of herbs that the locals grow here such as mints, basil, lemon basil, bok choi, spring onion, coriender, green beans, papaya ect. By the way, you can see how fresh vegetables are as the people just use seaweed as organic fertiliser for their farms. Then coming to a small place and the farmers here will show you how to rake the soil, sowing, watering, picking vegetables that you have not seen before. Next, you will join in some farming activities by your self and learn to carry water buckets to water the garden. Also, you will learn some of their farming techniques. After that, we come back for foot massage before we join cooking class. So, the host will teach you how to make some food decorations. 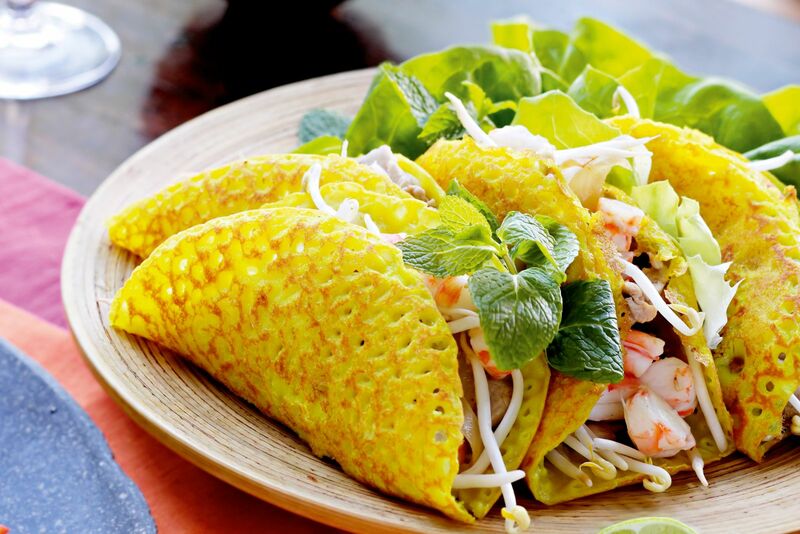 Following is to make Vietnamese pancake and “Tam Huu” that are local dishes to this area. Eventually, you will have a beautiful lunch before we cycle back to your hotel. Our Tra Que vegetables village and cooking class tour will come to an end here. 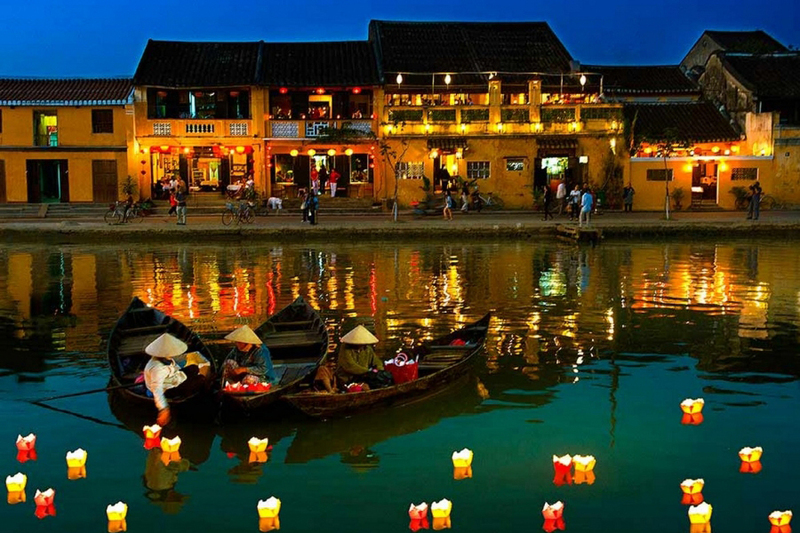 Kindly contact us at premiumvietnamtravel@gmail.com or Whatsapp at 0084 979613777 for more details and assistance. We are grateful to serve you. 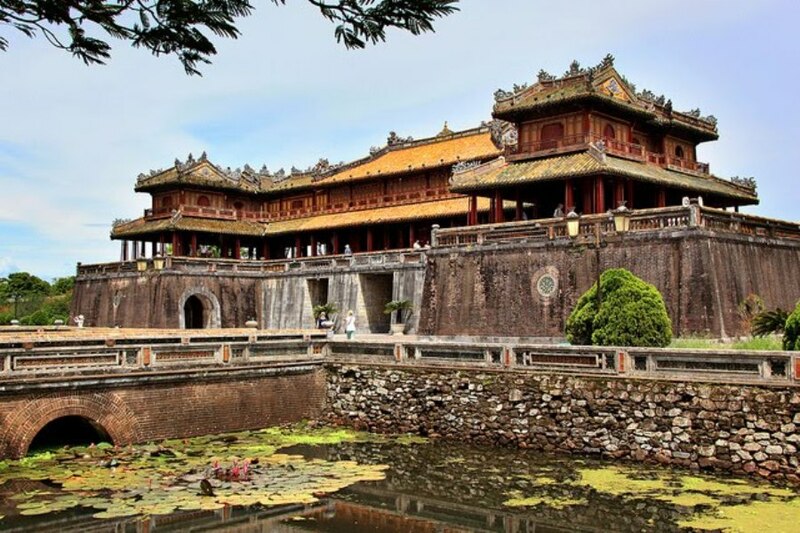 Tour departs from Hoi An and Da Nang city only and is conducted in a nice weather. 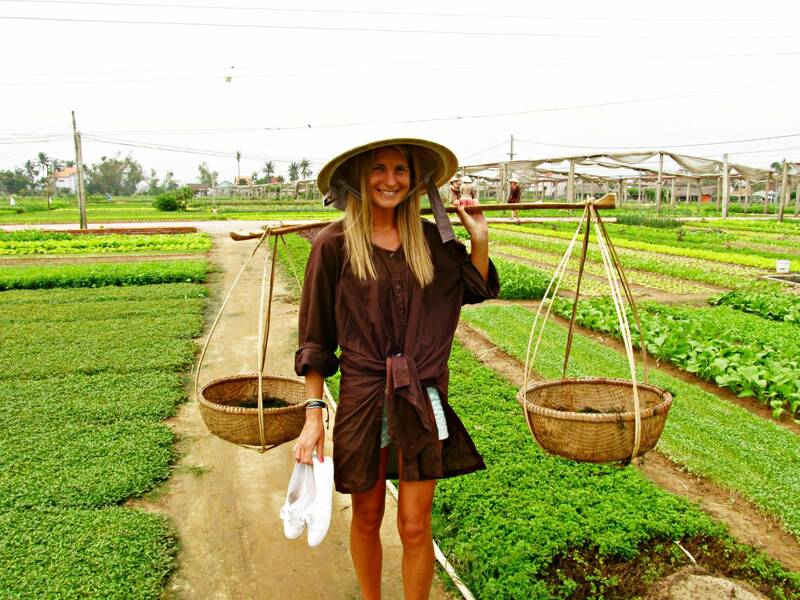 How to book Tra Que Vegetable Village Tour and Cooking Class ?